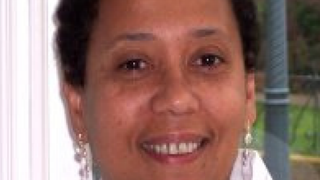 Monday's memorial service in Oakland for Dori J. Maynard, the president of the Maynard Institute for Journalism Education who died at 56 on Tuesday after battling lung cancer, will be livestreamed, the institute announced Sunday night. The Bay Area News Group, which includes the Oakland Tribune among its 11 daily newspapers, 27 weeklies and other properties, plans to tweet the service. "The #hashtag will be #dorimaynard," Martin G. Reynolds, senior editor for community engagement at the Bay Area News Group and a Maynard Institute board member, told Journal-isms by email on Friday. Maynard's father, Robert C. Maynard, became the first African American publisher of a mainstream U.S. newspaper when he bought the Tribune in 1983. He and his wife, Nancy Hicks Maynard, sold the paper in 1992. As reported in this space on Thursday, the Oakland service is planned for 11 a.m. Monday at the Chapel of the Chimes, a funeral home at 4499 Piedmont Ave., Oakland 94611. The chapel holds about 175 people, a chapel spokesman said. Christine Harris [registration required], a longtime friend, has said that the family expects that an East Coast service for the MIJE president will take place in Washington, where her father rests under a simple headstone in Rock Creek Cemetery. Her stepmother, who died in 2008, shares his gravesite. Reynolds; Perry Lang, a former vice president of the Maynard Institute who is executive director of San Francisco's Black Coalition on AIDS and the affiliated Rafiki Wellness Center; Sally Lehrman [registration required], professor of science and justice at University of California, Santa Cruz; Harris; Barbara Rodgers, longtime show host and reporter at KPIX-TV in San Francisco and co-founder and past president of the Bay Area Black Journalists Association; and novelist and poet Ishmael Reed. Also, Felix Gutierrez, professor emeritus at University of Southern California; Evelyn Hsu, Maynard Institute program director; Latoya Peterson, deputy editor, Voices at Fusion and digital media consultant; brothers Alex and David Maynard; mother Liz Rosen, and close friends Nina Ritter, Jan Christensen and Harris. Meanwhile, Mark Trahant, chairman of the Maynard Institute, said by telephone Thursday that "every board member I've talked to is committed to preserving both the operations and the legacy" of the Institute. Trahant said the board has not had time to discuss a successor for Maynard. Current board members include Trahant, Reynolds, Dorothy Butler Gilliam, Christian A. Hendricks, Warren Lerude, Paula Madison, John X. Miller, A. Stephen Montiel, Addie M. Rimmer and William Schmidt. Maynard's influence was felt throughout the journalism business. Virgil Smith, vice president/diversity at Gannett Co., Inc., said by email on Thursday, "You know we honored Dori during our all-hands meeting for HR executives today. She was a very special and passionate advocate for diversity, as are you." A tribute to Maynard, known as a "stand-tall," was placed in the atrium of the Newseum in Washington, near the entrance and clearly visible to all who enter.